habitaclia.com is formed by a large team of professionals: computer specialists, designers and experts in marketing and internet specialised in the real estate sector who work together to offer the best service. 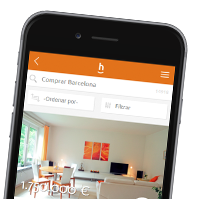 habitaclia.com is the best place to look for a flat and we also think it is the best place to work. habitaclia.comis above all the work of a team that brings together different talents witho one sole purpose: to offer our customers the best service. We are in Mataró. If you believe you can bring your passion to habitaclia.com in the technical department (programmers, designers, Internet experts, SEO, SEM...) or the sales department (customer service, marketing, salespeople...).